Home » Inside Pain » Can Medical Marijuana Treat Chronic Pain? Marijuana has been in use for thousands of years. In fact, the Chinese emperor Shennong, who lived in 2700 B.C., is thought to have been among the first people to discover marijuana’s medical properties–including the treatment of pain from arthritis and gout. More recently, marijuana was included in the U.S. Pharmacopeia, which sets FDA-enforceable standards for medicines, dietary supplements, and food ingredients, until 1942 when marijuana was made illegal by the federal government. Because of recent legal changes, marijuana is now widely available in Colorado. Amendment 20 was passed in November of 2000, authorizing Coloradoans with a Medical Marijuana Registry Identification Card to possess small amounts of marijuana. However, medical caregivers weren’t allowed to recommend medical marijuana to more than 5 patients at a time. In June 2009, the 5 patient limit was rejected by the Colorado Board of Health. This made medical marijuana dispensaries possible. Soon after this, the Colorado Medical Marijuana Code was enacted. This code put in place regulations for the production and distribution of medical marijuana. It allows local county and city governments the power to ban medical marijuana businesses and dispensaries. However, it does not allow a municipality to ban the use of medical marijuana. In November of 2012, 55% of Colorado’s citizens voted to legalize the recreational use of marijuana. For those who utilize marijuana for medical purposes, an in-person meeting with a caregiver or physician is necessary to obtain a Medical Marijuana card. While it is now possible to obtain marijuana without this card, individuals with a Medical Marijuana card are exempt from taxes on marijuana. Research suggests that medical marijuana may be a viable treatment for neuropathic pain. Neuropathic pain, or nerve-related chronic pain, can occur as a result of several medical conditions, such as diabetes or shingles. Most current treatments for neuropathic pain are “off label” medications, which are medications approved by the Food and Drug Administration (FDA) to treat a condition other than the 1 it’s prescribed for. For example, antidepressants and anti-seizure medications are sometimes prescribed for neuropathic pain. For severe neuropathy pain, medication for heart arrhythmias may be prescribed. However, some cases of neuropathic pain are resistant to traditional medications. Some of these medications—particularly those for heart arrhythmias—can also have serious potential side effects and require close monitoring by a medical professional. In cases when traditional medications have failed to alleviate chronic pain, or when side effects are becoming problematic, medical marijuana may provide an alternative. Dr. Mark Ware, assistant professor of anesthesia and family medicine at McGill University in Montreal, Canada, carried out a study of 21 individuals suffering from neuropathy. In this study, 3 different potencies of cannabis, or marijuana, were compared with placebos. Over a period of 2 months, each person in the study tried each different dose, including the placebo, for a 5-day trial. At the end of the trial, patients rated their pain on a scale of 0 to 10. Based on this rating, Dr. Ware concluded that marijuana with a 9.4% concentration of its active compound, tetrahydrocannabinol (THC), was most effective. Those on the 9.4% dose rated their pain at 5.4, while those using placebos rated their pain at 6.1. It’s worth noting that the patients in this study were not asked to stop use of their other, traditional pain medications. Another chronic pain condition that could potentially be alleviated by medical marijuana is fibromyalgia. Fibromyalgia is characterized by widespread pain, depression, fatigue, and sleep disturbance. This condition is poorly understood, and as a result, it’s difficult both to diagnose and to treat. There is no cure for fibromyalgia, so treatment focuses on relieving symptoms. Only 3 drugs are approved by the FDA to specifically treat fibromyalgia: Cymbalta, Lyrica, and Savella. Antidepressants, sleep aids, muscle relaxants, or opioids may also be used to reduce discomfort. The difficulty in treating fibromyalgia often necessitates a broad support system of chronic pain experts, physicians, therapists, and other professionals, as well as an individually-tailored treatment plan. Medical marijuana may be a beneficial addition to comprehensive fibromyalgia treatment. A survey conducted by the National Pain Foundation found that medical marijuana was much more effective at pain management than Cymbalta, Lyrica, or Savella. Only about 30% to 40% of survey participants said that the FDA-approved fibromyalgia medications were effective, but 62% of participants who used medical marijuana said that it was effective. It’s worth noting, however, that the participants in this survey were self-selected. In Hawaii, researchers handed out surveys to patients applying for their yearly re-certification of medical marijuana use for pain, although the cause of these patients’ pain wasn’t specified. Pain was rated on a scale from 0 to 10. On average, pain was reduced from 7.8 to 2.8, which is a significant reduction in pain. Like any chronic pain management therapy, medical marijuana has some potential side effects. The most common side effects of medical marijuana are fairly minor, such as dizziness, headache, coughing, and dry eyes. Addiction is also a risk. 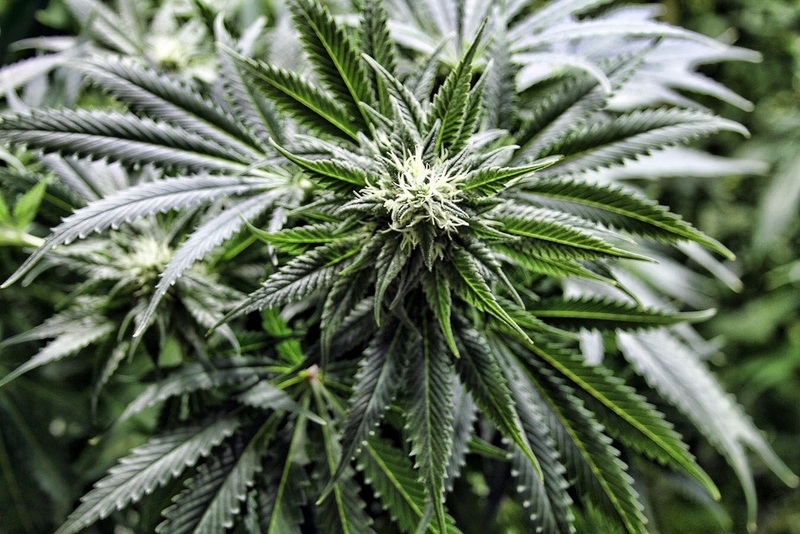 Long-term use of medical marijuana may also increase the risk of side effects. Weight gain, changes in mood or cognitive function, or a generalized feeling of sedation might occur. In some cases, medical marijuana can even increase pain sensitivity instead of decreasing it. Additionally, medical marijuana smoke can contain many of the same compounds as tobacco smoke, which can be associated with similar risks as tobacco smoking. However, the American College of Physicians concludes that the risks of medical marijuana use, including dependency and withdrawal symptoms, are comparable to the risks of any other chronic pain medication. With this in mind, medical marijuana might be worth discussing with a physician if other chronic pain management techniques have failed. Because medical marijuana can interact with other medications, be sure to discuss all regular medications with a physician before starting anything new. Have you ever used medical marijuana for chronic pain?